Thanks Todd, I finally blew up the motor in mine. Ran too long on the oval and cooked it! What tires and compounds are working well out there currently? For buggy and sct. Thanks. I dunno Richard. I guess we just never got anything going. Sounds like a good idea for next year! I may be down for some 17.5 nr saturday. hey just a question how come we dont have a summer series for 1/10 offroad? Jason we have a spec edm body in stock at the shop if you still need one! Who is in for open buggy this weekend? Brian you should come race the explosion race on Saturday. I see you trying to find a place to race this weekend. Delta will be the place! Hey Hopper, any chance they will allow us to park & pit in the grass area? I know in the past some guys have came in RVs. We will all promise to drive slow thru grass area and pick up trash. Also remember that you need to be a roar member to race at Delta RC. You can sign up at the track or at www.roarracing.com THANKS!!!! 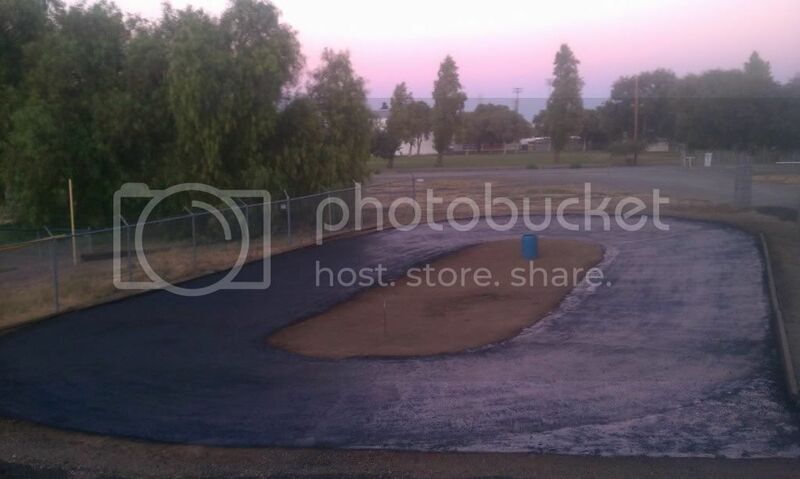 This Friday @7 will be our first oval race! Check out the link to the class rules at the bottom of this post! 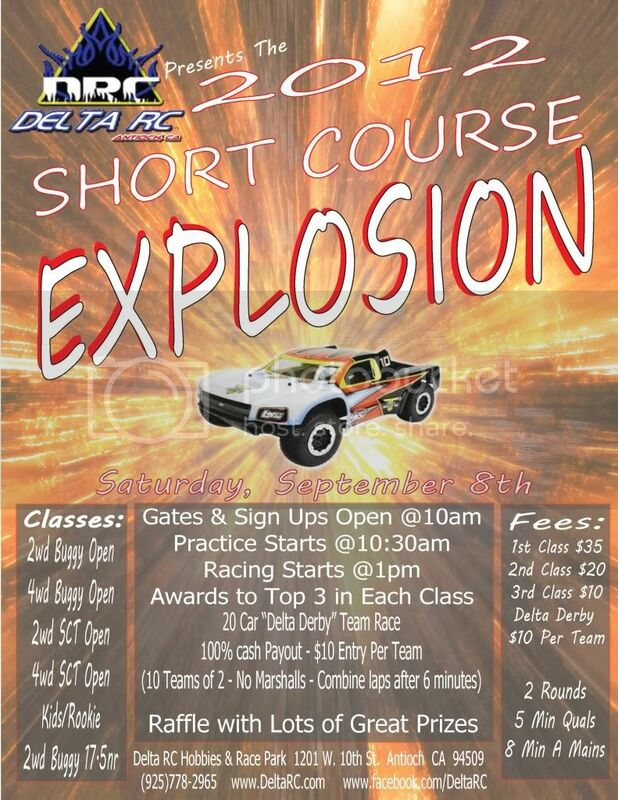 Remember guys the 3rd Annual Short Course Explosion is THIS Saturday. Should be a great turnout and will be a ton of fun!